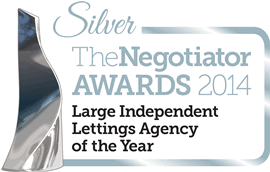 Celebrating the very best in residential estate agency from across the UK, the glamorous awards dinner was hosted by the enormously entertaining comedian Alexander Armstrong and sponsored by Zoopla Property Group with other supporting sponsors. 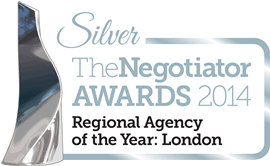 At the glittering event held at the London Hilton in Park Lane, Foxtons was awarded with a Silver award for Large Letting Agency of the Year, Silver for Regional Agency of the Year and Bronze for Innovator of the Year. 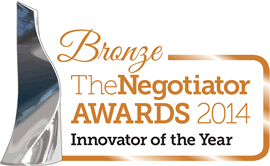 It is fantastic that our continued hard work has been recognised at the Negotiator Awards.